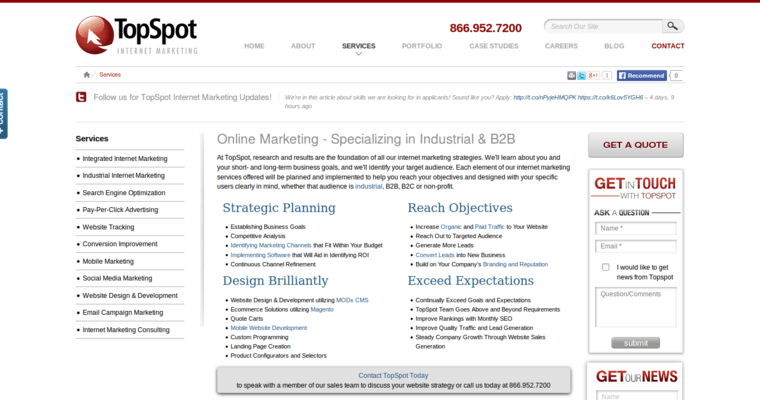 If you want to get your business noticed at the top of Google search results, then TopSpot IMS may be your perfect partner. The firm serves businesses of all sizes in every industry. 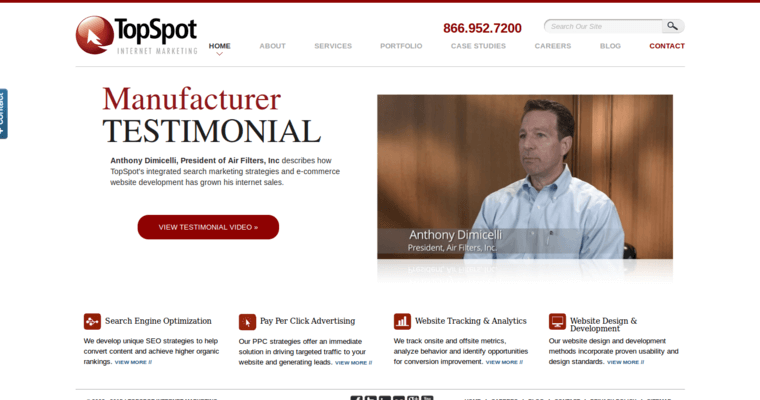 The firm has more than 100 team members who have already launched more than 600 websites. Also, TopSpot IMS has won more than 160 awards that testify to their commitment to excellence. In addition to precisely matching clients to internet searches via SEO, the company offers PPC marketing services using all the major search engine and social media advertising platforms. The company supports everything they do via analytics. To begin with, they use real-time data to optimize every campaign. Furthermore, they use analytics to document their own performance. 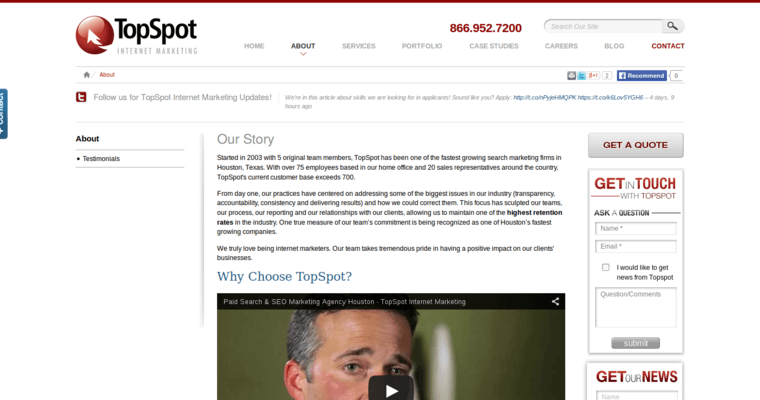 In most cases, TopSpot IMS delivers a return on investment that exceeds the cost of their services. The agency also offers website and application design and development.